Today is Black Friday, but before you go click crazy, we urge you to stop and think about what you are purchasing and consider what you really need. I know, I know… it’s weird; we are a creative communications agency that works with businesses to help them increase their reputation and ultimately their sales. However, this doesn’t mean that we want to encourage mindless consumption. Shopping is fun, we get it. There’s nothing quite like the thrill of finding a killer outfit, scoring the perfect shoes or even spotting the ideal gift. But, in our consumerist society, we are all consuming at a rapid speed. This is leading to a pretty scary increase in landfill. Globally, one in three pieces of clothing each year goes straight to landfill without being sold, while YouGov data found 24% of Aussies threw out a garment after wearing it just once last year. That’s right, some of us are throwing away clothing when we’ve only worn it once! What happened to giving your unused items to charity or hand me downs? With Christmas just around the corner, sales will increase even further. Government research on Australian Christmas spending habits found that the average person is now tipped to splash $955 over the holiday season. In Victoria, it’s estimated that just paying for presents costs us an average of $562 each December, yet a lot of these gifts end up in landfill or being chucked to the side and forgotten about very quickly. It’s now more important than ever to consider conscious consumption. A conscious consumer is merely an agent of change who considers the social, environmental, ecological, and political impact of their purchasing behaviour. It’s easier said than done but think about what people actually want. Too often, we are wrapped up in the idea or expectation that we need to give a present and as a result, gift giving is treated as a chore. 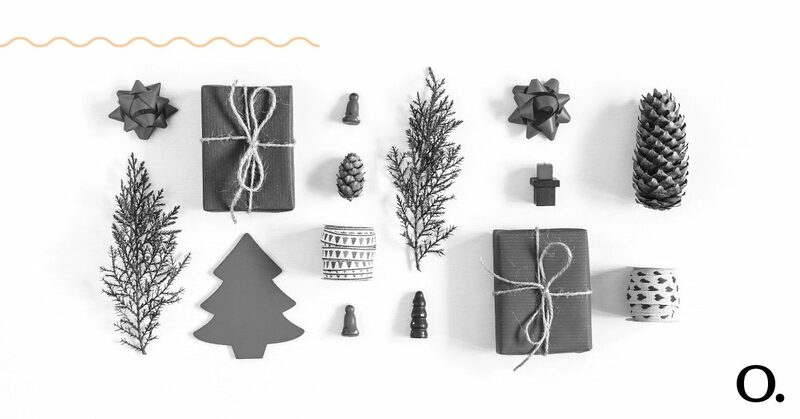 If you plan far enough in advance, you should be able to take the time to carefully consider what each of your gift recipients would like to receive this Christmas and what items would be of genuine value to them. Essentially, don’t buy crap. Invest in good quality items that are more likely to stand the test of time. If you are buying clothing consider things like organic material, quality stitching, where it’s made etc. Your friends and family will appreciate quality over quantity. Look for ethical fashion certifications which indicate that the clothing has been made under fair and safe working conditions. When buying chocolate or coffee as a gift check to see if it’s Fair Trade. You may also like to consider organic, plastic-free, sustainable, cruelty-free and palm oil free products. These small considerations can have a significant impact on a collective scale. 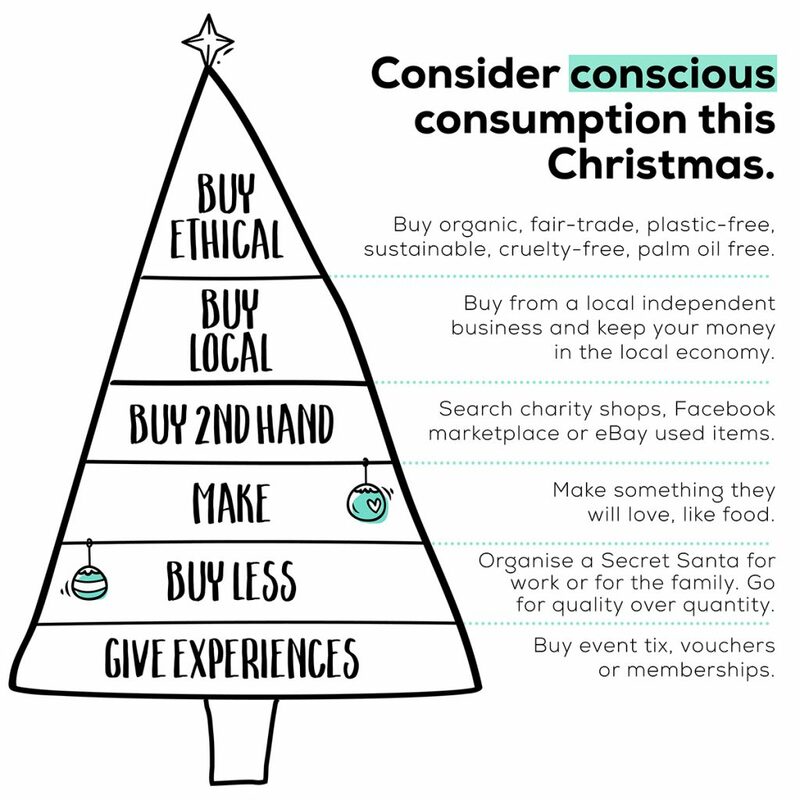 How are you going to engage in ethical consumption this Christmas?